Over the past few years, the "buzz" has all been about the increasing demand to rent with a somewhat negative undertone due to skyrocketing rents. Our tenants may find this article refreshing, click here to view. Some of the reasons why renting has become more and more in demand are also cited within the article. These reasons include: saving for a down payment, costs of repairs, property taxes, interest on your loan, and closing costs. They state, " On average, renting and reinvesting wins in terms of wealth creation regardless of property appreciation, because property appreciation is highly correlated with gains in the traditional financial asset classes of stocks and bonds," wrote study co-author Ken Johnson of FAU's College of Business, in a release quoted on MSN. When you assume that those monies are reinvested at a rate of return, renting, on average, wins in terms of wealth creation," Johnson said. "Of course, many renters will not reinvest those monies and will instead use them for consumer goods, which is the least desirable option in terms of building wealth." In the past, on average home owners have had a substantially higher net worth than renters. Home ownership has been regarded as the best way to acquire wealth, but this study shows that times are changing. The housing market follows trends of the stock market. This article explains how it may be in an investors best interest to put money into traditional stocks rather than a home. First, owning a home is expensive. There's a mortgage — which, in the early years, is more taxes and interest than actual equity (i.e. the first few years of owning a home is also throwing a lot of money away; I broke down my actual mortgage payment in this post, if you're interested in reading more about that). But also, homes cost a lot of money to maintain. When the air conditioner breaks, that couple grand is on you now, sis. Second, depending on where you live, it can cost a ton of money just to get into the house hunting game. You'll have to spend years putting cash away (while you're still renting) just to afford the down payment and closing costs on your one-day money pit of a house and mortgage. But renters-turned-first-time-homeowners still make it happen every day. They do all of those things — saving money for a down payment, and "throwing away money" into taxes and insurance — in order to own a home of their own. 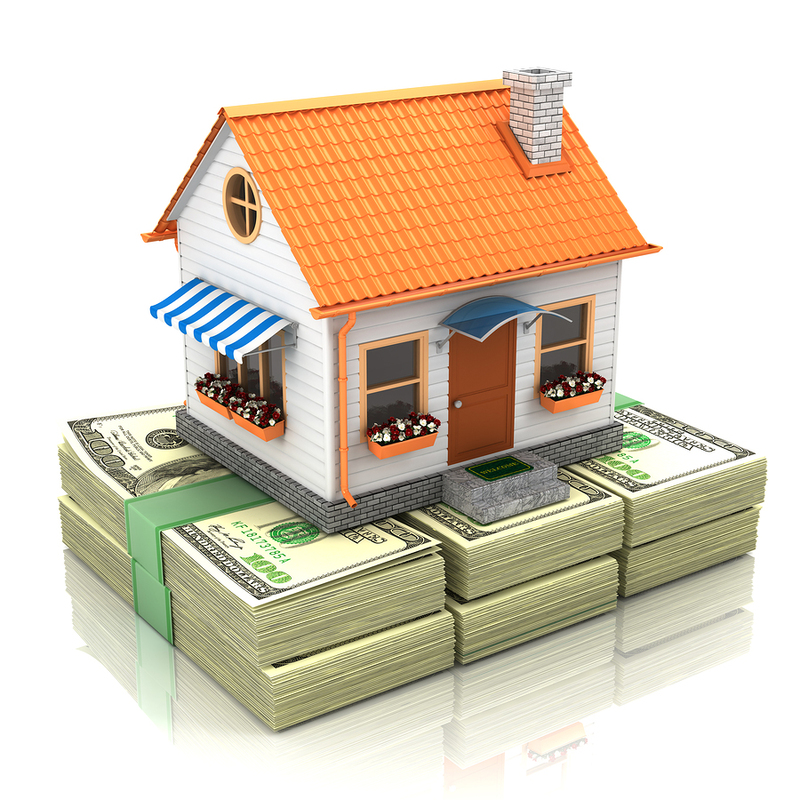 The idea is that a house is an investment, and a means for building wealth as property values rise. In 2016, the median net worth of a homeowner was $231,400, compared to just $5,200 for a renter, according to the Federal Reserve. Except... lifetime renters actually have the opportunity to be wealthier than their homeowner counterparts, if they play their cards right. According to a recent study conducted by Florida Atlantic University, Florida International University and the University of Wyoming, you're actually better off investing your money into traditional investments like stocks than into a home. The reason? Well, the housing market usually follows the stock market. If property values are going up, stocks are going up, too. "On average, renting and reinvesting wins in terms of wealth creation regardless of property appreciation, because property appreciation is highly correlated with gains in the traditional financial asset classes of stocks and bonds," wrote study co-author Ken Johnson of FAU's College of Business, in a release quoted on MSN. "When you assume that those monies are reinvested at a rate of return, renting, on average, wins in terms of wealth creation," Johnson said. "Of course, many renters will not reinvest those monies and will instead use them for consumer goods, which is the least desirable option in terms of building wealth." The takeaway is this: If a forever renter can sock away all of the money they wouldhave spent on the home buying process (and a broken air conditioner or two) and invest it instead, the renter will come out on top, every time.